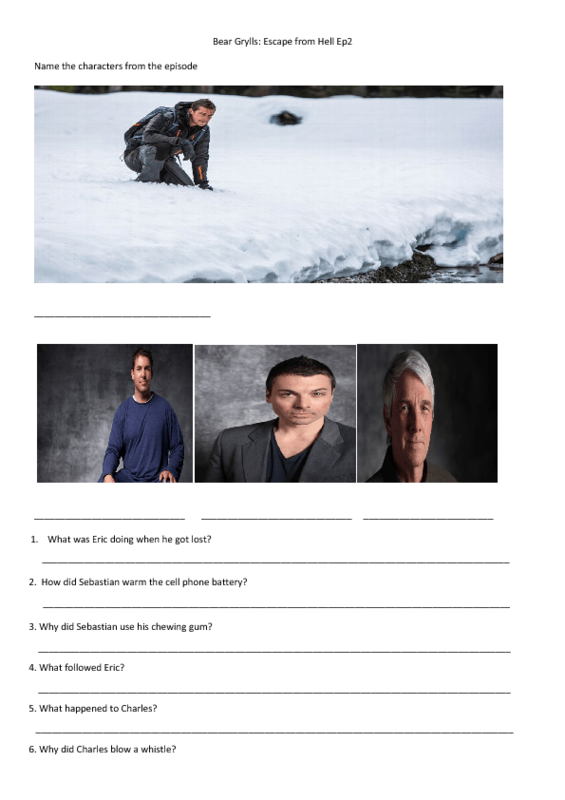 This worksheet is based on the Bear Grylls` TV series "Escape From Hell". 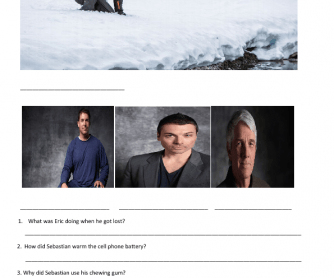 The worksheet follows the first (on some websites it is marked as second) episode "Snow"in order of narration. It is about 3 people who survived against all odds when they got lost in the severe winter trapped in the mountains of US and Canada. Students can practice vocabulary, Past Simple or Continuous. I used it as an extra activity for the subject of Survival.